A FORMER Gympie man was just doing what came naturally when his photo went viral in the USA this week. 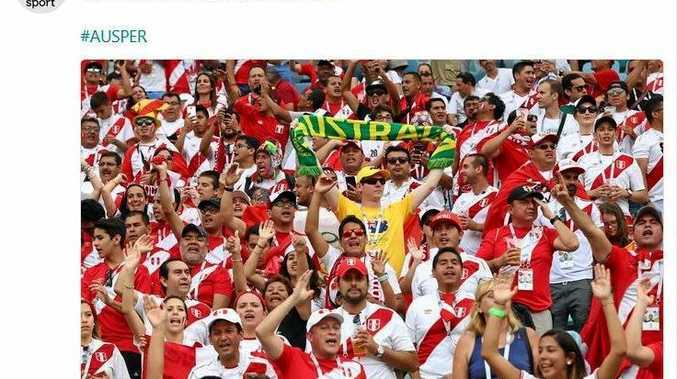 Avid soccer fan Ben Thirtle was the only Aussie supporter in his section at the World Cup when Australia played Peru in Russia on Tuesday night. 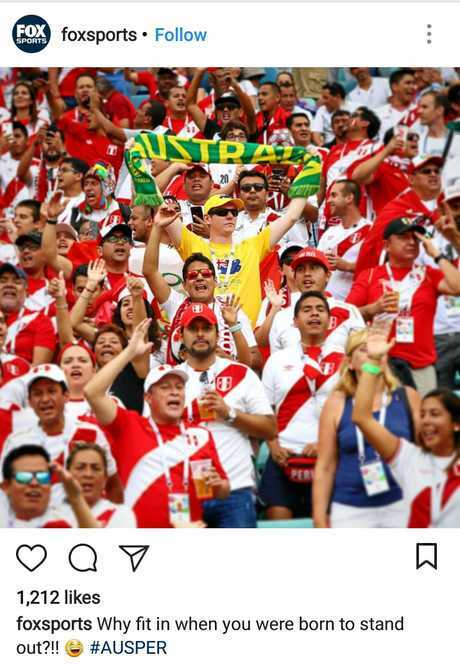 "Why fit in when you can stand out," Fox Sports quipped on its Instagram page with a photo of the golden-kitted Aussie native standing proud in a sea of red and white Peru supporters. CNN Sport tweeted the photo with: "If you can't beat them, join them." 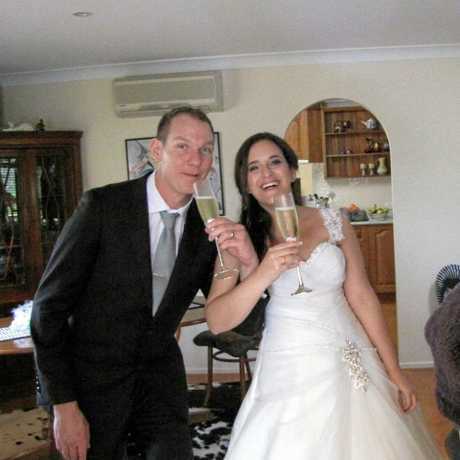 It was no surprise to those who know Ben that he was in the South American stands alongside his Peruvian wife Lisell, but the international attention did take Ben by surprise. "My wife's friends in Peru actually sent (the photos of the posts) to her after the match. I thought she was joking with me at first, but when she showed me the picture I just laughed," he said. Good will seemed to be the theme of Ben's World Cup experience, with the Socceroos fan even trading his famously-photographed scarf with a Peru supporter for a jersey keychain. "Everyone was just having a good time singing and dancing throughout the whole game," he said. "After the match everyone wanted to shake hands and take photos with us. "Everyone we've met have been so friendly and the atmosphere is always full of good positive party vibes." He found the same at the Australia v Denmark game - where funny provocative chanting between the two supporter sides turned into the call for "Let's have some beers" from the crowd at the end of the game. "Both sides joined the chant before all heading off together to do exactly that," he said. Ben who now lives in New South Wales after growing up in Gympie, said visiting Russia had been a thrilling experience. "We loved the food, the landmarks, the people, the weather, the atmosphere: everything," Ben said. 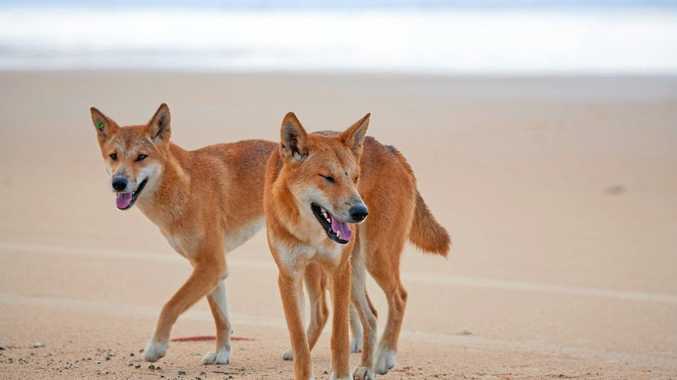 "Both of us have met a lot of new friends. Russia is a great place to visit and we're already talking about coming back again one day. "Russia has put on a really good show for everyone."